Thoroughly combine quick cooking oats, water, milk, pumpkin, sugar, vanilla, spice and salt in a microwave safe bowl. Microwave on high for 1 ½ to 2 minutes. To prepare topping, combine 1 TBSP pure pumpkin with 1-2 tsp of light brown sugar. 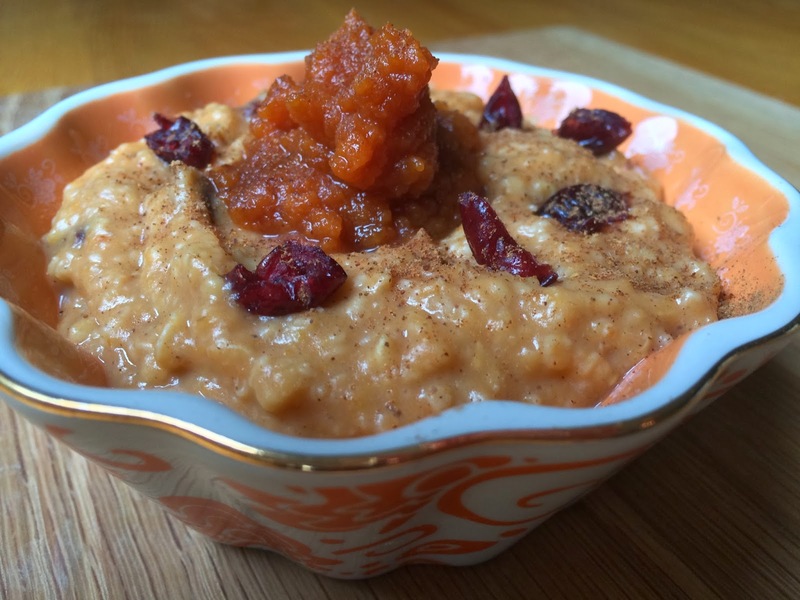 Serve a dollop over oatmeal. If desired mix in craisins and sprinkle pumpkin pie spice. Note: This could be served with pecans or walnuts too. I just prefer it without! This looks like a really easy breakfast idea...I may have to try it sometime! Thanks for linking up with the Bloggers Brags Pinterest Party. I have pinned your post to the Bloggers Brags Pinterest Board!